I am excited to have been selected as a finalist in the Gallery M Open Contemporary Art Prize! Please join me for the opening event on the evening of the 10th of August, at Gallery M 287 Diagonal Rd, Oaklands Park SA. Can't make it to the opening? The gallery is open 7 days a week from 10am - 4pm (Sunday hours are 1pm - 4 pm), and the exhibition runs until the 2nd of September. My selected work is a linocut involving fire, symbols and mythology. I hope to see you there! 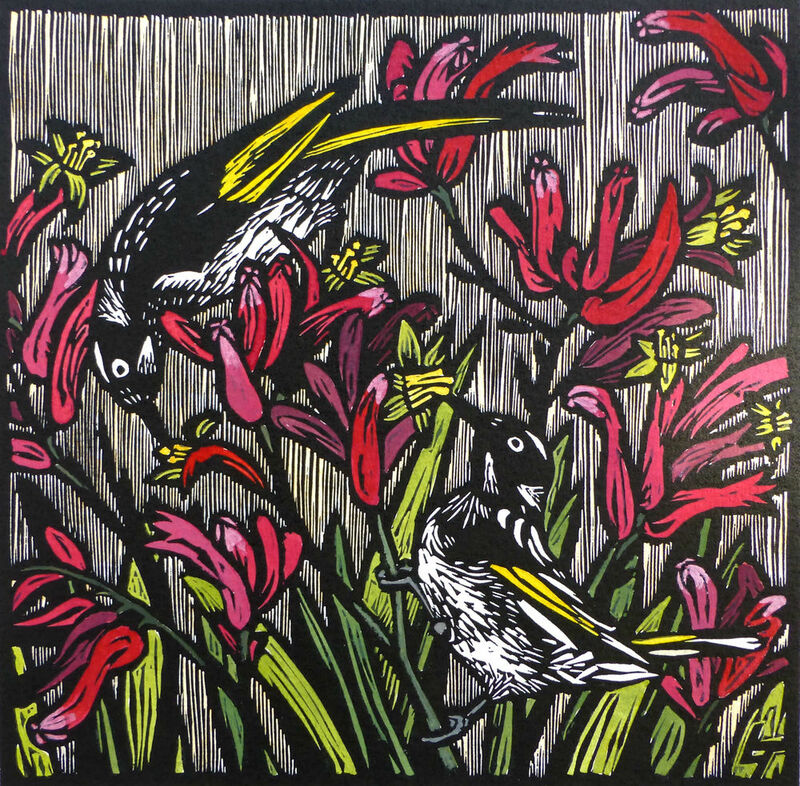 Join me on Saturday 11th of November for an Open Studio Christmas Sale! 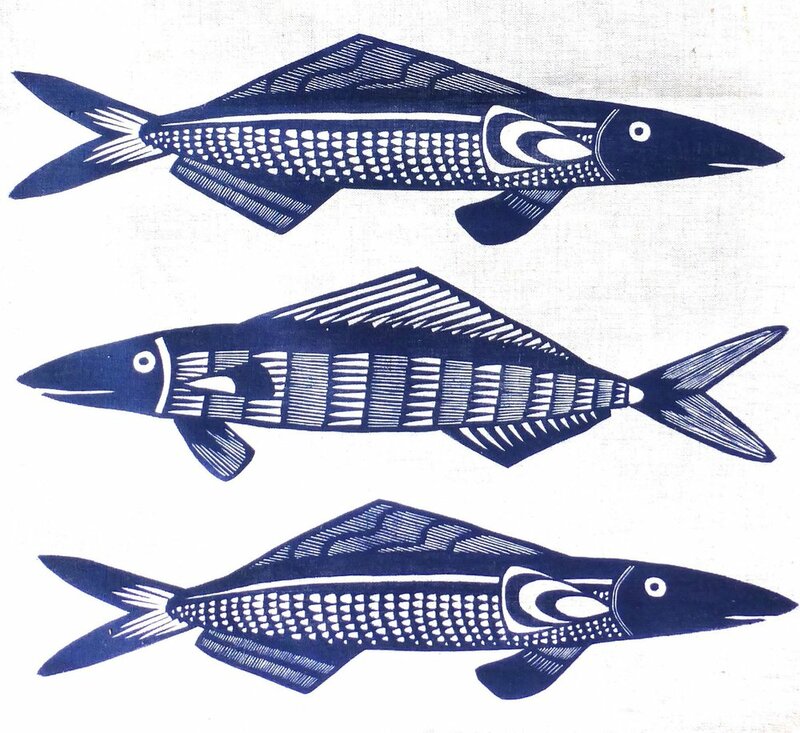 There will be limited edition linocut prints for sale, plus greeting cards, Christmas cards and hand printed tea towels - perfect for Christmas gifts! Call in anytime between 2 - 6 pm and grab a bargain! Friends and family welcome. 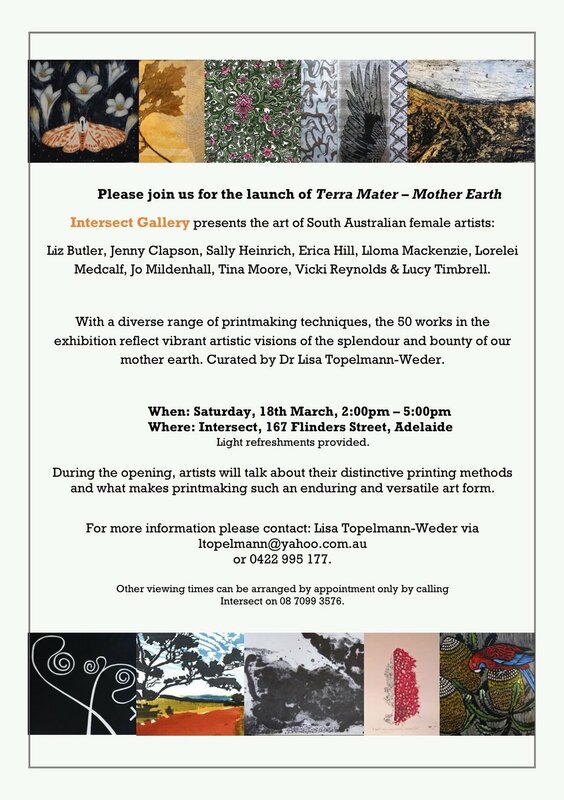 Please join me for the exhibition launch of Terra Mater - Mother Earth this Saturday. There will be great art, refreshments and artist talks! If that's not enough art for you, it's the last few weeks of the exhibition Follow the White Rabbit..Tick Tock... Tick Tock, at Red Poles Gallery, McLaren Vale. 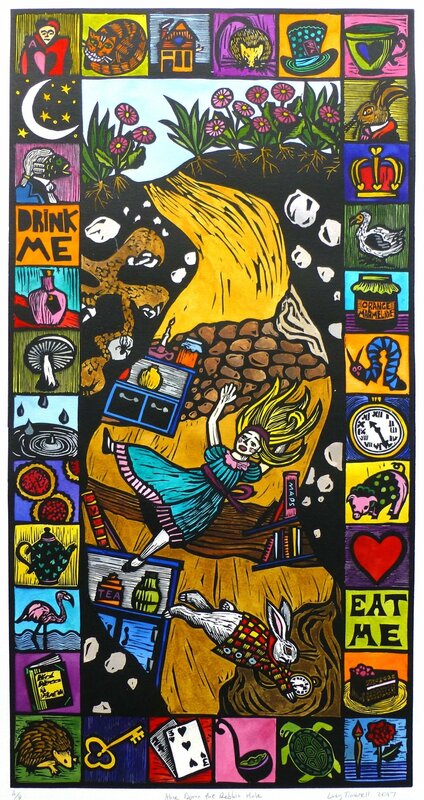 This exhibition involves 17 artists and explores the world of Alice in Wonderland. 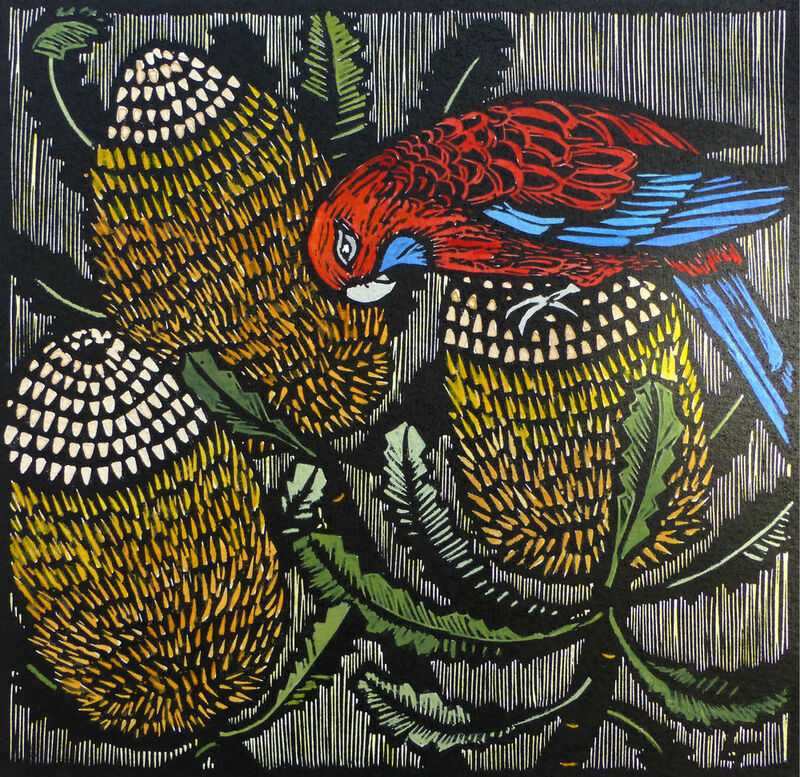 I'm excited to be a part of the SALA festivities this year at Red Poles Gallery in McClaren Vale. 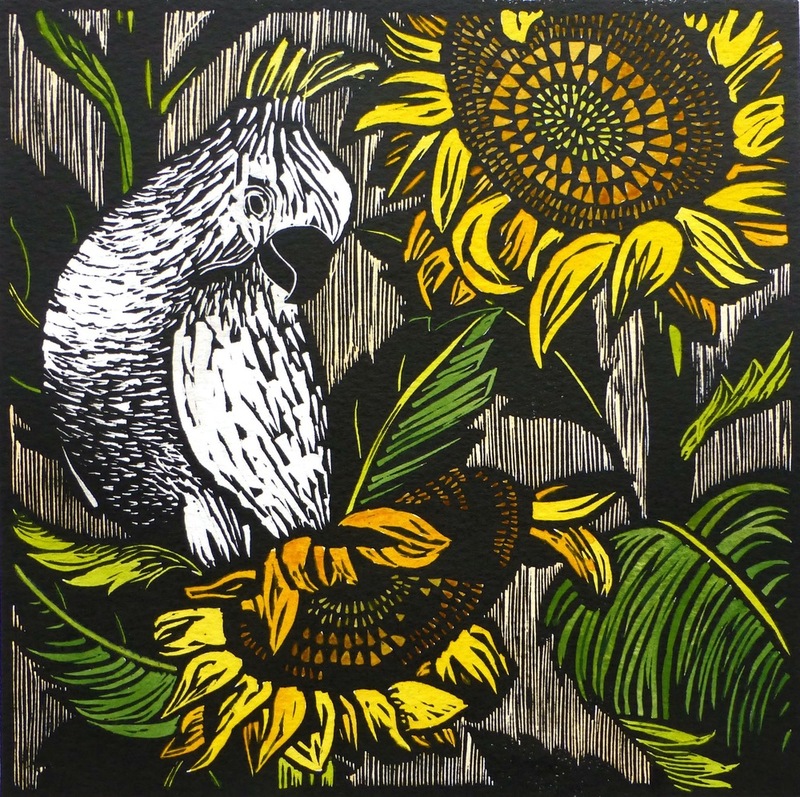 I have three works in the exhibition Fur and Feathers, along with 19 other artists. 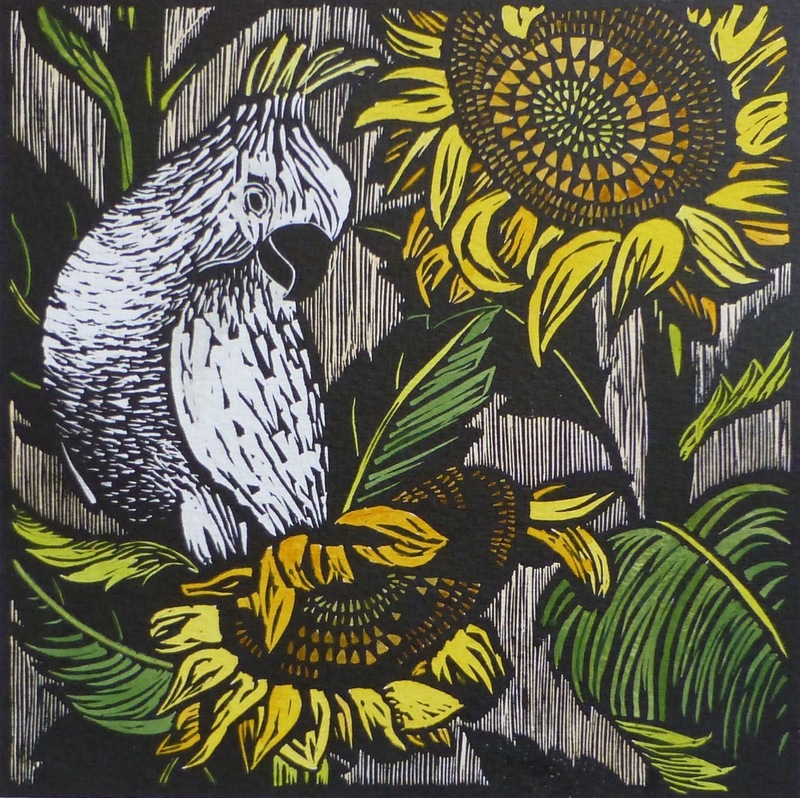 My hand coloured linocuts (pictured below) can be purchased separately or as a set. You can see this exhibition at Red Poles Gallery from Wednesday - Sunday, 9am - 5pm, and the exhibition will run until the 28th of August. Pop by for some great art and a glass of wine! For those of you in Adelaide, I will be having an Open Studio and Print Sale afternoon on Saturday the 2nd of April. Call in anytime between 2pm and 6pm, at 68 Eighth Ave, St Peters. 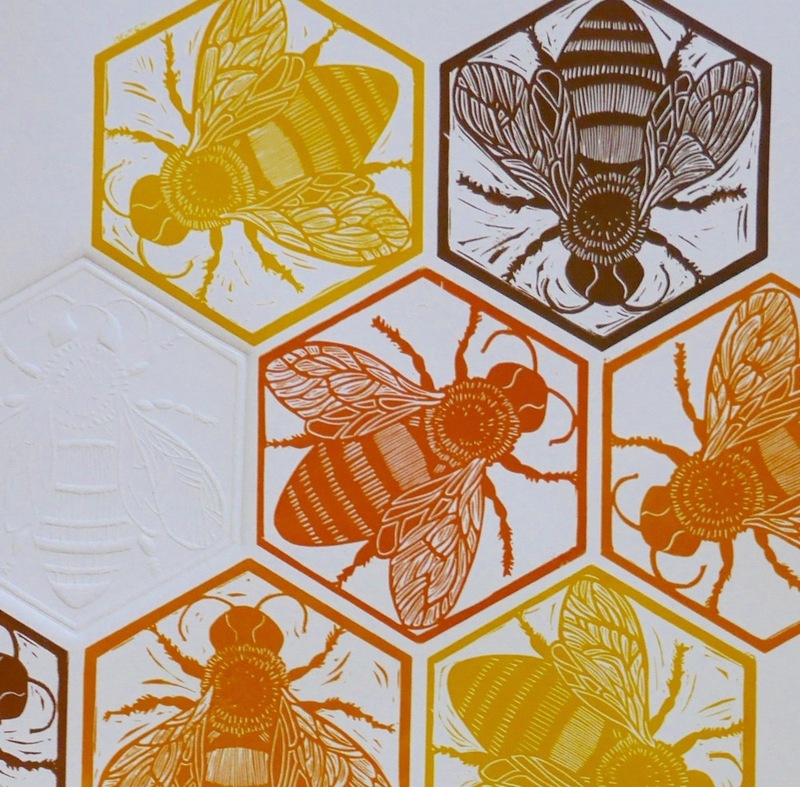 There will be original prints and cards for sale, and any proceeds will assist me to attend some printmaking workshops in Fabriano, Italy in April of this year. Please bring your friends and family! It seems like the year has just flown by, and my intentions of regularly blogging since the set up of this website have gone out the window! It has been a busy year with many different things on the go, including relief teaching in schools, regular teaching at Ruth Tuck Art School and some extra study for good measure (small business management). However, in the last few weeks I have managed to print a range of Christmas cards which are now for sale. Below are the two design ranges I have this year. Click here to have a closer look at the designs on offer and to find out some more information. 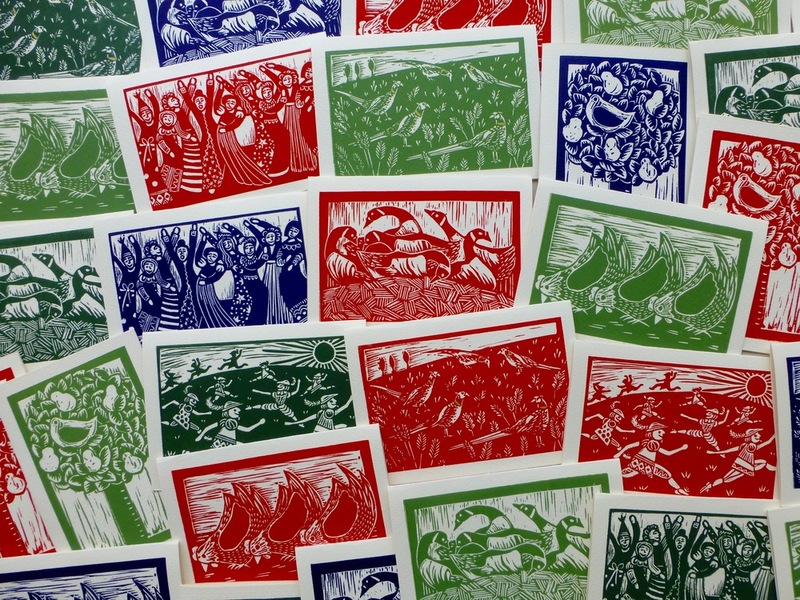 Various designs from The 12 Days of Christmas (left), and designs from the Square card range (right). I had a lot of fun with these designs, especially the 10 Lords a-leaping and the 5 Gold Rings (in this case, 5 ring-necked pheasants)! Please take a look at the site and my artwork. I would love any kind of feedback! Most of the artwork featured is for sale, and I also take commissions. Please contact me with any queries.